Being in a car accident can be one of the most terrifying events that can happen to a person. That terror is compounded when the accident is on a motorcycle. A Rhode Island motorcycle accident is sadly often fatal. 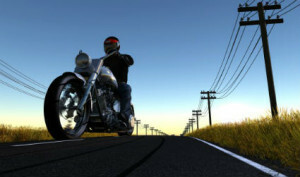 Motorcycle accidents can be very dangerous since the person does not have the protection of a car, van or suv. Quite often these accidents are very serious and a person can suffer a lot of pain because of this type of motor vehicle accident. Some of the most common types of injuries caused by bike accidents are spinal cord injury, traumatic head injury, paralysis, brain damage, herniated disk and broken arms and legs. After a motorcycle accident in Rhode Island, a person can really feel lost. They are in pain and they can feel like they do not have anyone to turn to. Fortunately, that person does not need to feel like they have no one to turn to, because a good RI motorcycle lawyer can do great things to help a person find justice and the compensation that they deserve. At times when people are driving on the road they do not pay enough attention to motorcyclists and that is exactly how a person on a motorcycle can have serious issues and have a very bad accident. If a person was negligent and that negligence led to a motorcyclist getting hurt, it is a good idea to look for a trusted Providence motorcycle accident lawyer. Of Course the lawyer does not need to be from providence but the Providence area such as Pawtucket or East Providence is good enough. The good thing about a RI bike crash Attorney is that they know all of the Rhode Island motor vehicle laws, federal regulations and ordinances and they also know how to help their clients get the compensation that they deserve. Contact or Rhode Island motorcycle accident attorney David Slepkow at 401-437-1100. Sadly, many motorcycle accidents with cars or trucks are fatal leading to wrongful death litigation in Providence Superior Court. A wrongful death lawsuit must be filed by the executor of the estate of the person who died in the wreck, seeking damages for the beneficiaries of the estate for the deadly accident. If your spouse or loved one was killed in a motorcycle accident in Rhode Island then it is important that you don’t just hire one of the best Personal Injury Lawyers but you retain a top RI wrongful Death Attorney. After a bike collision with a car or truck a lot more is ruined than just the vehicle. A person has a lack of confidence to drive again on the roads and highways. A person may suffer a lot of different mental and emotional losses as well. A good Rhode Island Personal injury attorney is there to help and to guide their clients so that they can get all of the help, compensation and coverage that they deserve. Two of the biggest expenses after a Rhode Island motorcycle accident are the expenses of the repair or the replacement of the vehicle and also the medical bills. If a motorcycle accident was very serious, the medical bills could mount up to the hundreds of thousands of dollars. Medical bills that are that high are impossible to pay. Apart from that fact, if a person was not at fault in the accident they should not have to deal with the hassle and the stress of medical bills incurred by another person’s negligence. For residence of Rhode Island they do not have far to look for a trusted personal injury bike collision lawyer that specializes in helping people that have gone through the pain of a motorcycle accident, or any other motor vehicle or car crash. There are professional RI car accident attorneys and or Rhode Island motorcycle accident lawyers available that have years of experience fighting and winning cases for their clients. They know that it is stressful enough to have to go through a motorcycle accident. They do all that they can to relieve the stress of having an accident and they can help you get the compensation that you need for hospital bills and also for your pain and suffering. Contact David Slepkow at 401-437-1100.